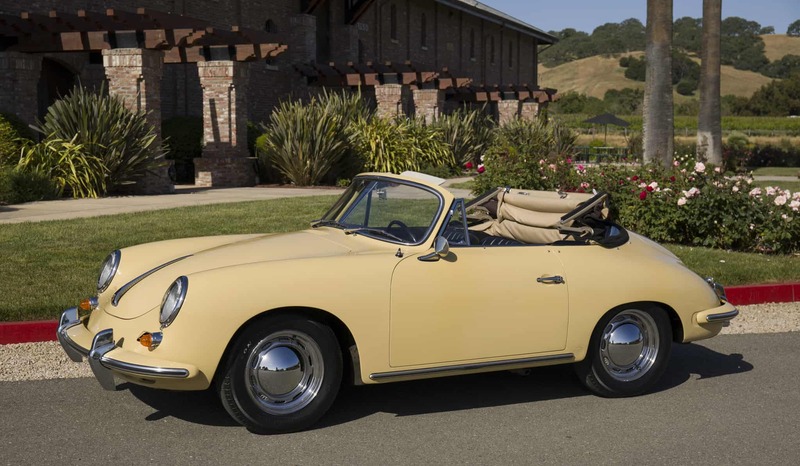 1962 Porsche 356B 1600 Reutter Cabriolet: Solid garaged California car with original black plates; all numbers match; low miles; 100% solid factory metal including original battery box. The undercarriage of this car shows it all: we dry-ice blasted the bottom to expose every factory spot weld – all pristine and clearly visible. Cars this solid are extremely rare; even the best dry garaged California cars often have some level of rust, particularly in the battery box. Not this one! Painted is probably 30 years old and still shows well. Original color is highly desirable “Silver Metallic 6206” per the Porsche Certificate of Authenticity (COA). Freshly serviced and in good running condition. We go to extents to document our cars in pictures and provide the most transparent listings on Ebay. Please study the pictures carefully rather than requesting descriptions. Please complete any inspections or ask any questions prior to bidding or committing to buy the car. Thanks for the interest!